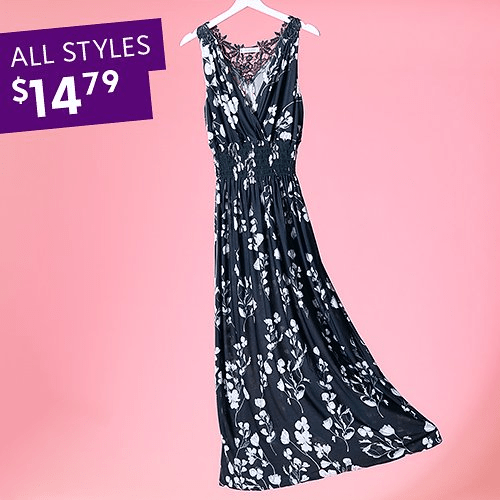 If you like that long maxi dress style, here is a today only deal to check out on Zulily. They are offering Jon & Anna Long Maxi Casual Dress for $14.79! These normally sell for $39.95. They have a nice selection of colors and styles to choose from too. Shipping starts at $5.99 at Zulily. Lace detailing furthers the romantic vibe of this stretch-blend maxi dress that’s designed to flatter your curves with a wide, shirred waist and a surplice neckline.